During 2008, Americans stockpiled ammunition out of fear of the economic crisis and the election of President Obama. Years later, shooters have troves of ammo (some of which is scarce to this day), but whether these stockpiles are in good condition is another story. This guide discusses ways to improve the longevity of your ammo, as well as the safest (and legal) ways to store and transport it. Why Extend the Shelf Life of Your Ammo? Many shooters take the time to maintain their firearms, but they assume their ammunition stockpile will last forever. This is a dangerous assumption. In fact, how your ammo is stored determines its longevity. Think of your ammunition as insurance, a safeguard in case of emergency. Just like any insurance, your hoard of ammo comes with a disclaimer – that if not properly maintained, it could be rendered useless after a certain amount of time. Shooters who store their ammo in an air conditioned space and use it within 12 months of purchase should have no problem with quality. However, those who stockpile should make a habit of proper maintenance. If you are one of the many shooters who took advantage of the 2008 collapse as a time to stockpile ammunition, then your trove of ammo is nearing a decade in age. That means if you have been caring for it incorrectly for the past 10 years, it could fail you when the time comes to use it. Want to ensure a long shelf life for your ammunition investment? There are just three easy steps to making sure your ammo stays reliable. Moisture is kryptonite to ammunition. And no matter where you live, there is moisture in the air. Fortunately, there are several ways you can keep your ammo dry. Ammo Cans: The military learned about moisture the hard way, which is why they invented ammo cans. Make sure yours have rubber seals to ensure no moisture gets inside. Moisture-Absorbing Packs: These handy (and cheap!) packs should always be kept with your ammunition, whether it is stored in an ammo can or Ziplock bag. Environment: Use common sense when choosing a room to store your ammunition. Moisture-rich spaces like laundry rooms, steam rooms and bathrooms are never good choices. Wherever you decide to keep your stockpile, store it “high and dry” off the ground. High heat can ruin your ammunition, with the breakdown point happening at about 150º Fahrenheit. On the other end of the spectrum, excessive cold temperatures can alter powder and primer characteristics – and temperature swings between the two have also proved to be harmful to ammo. To avoid this, keep your ammo at normal room temperatures with low humidity. Doing so will give your ammunition decades of life. 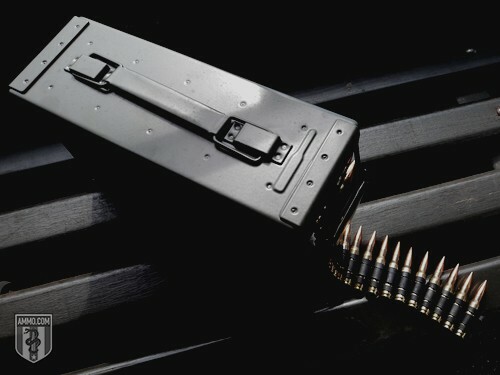 To prevent opening ammo cans or other storage often to see what’s inside, label it with a description of its contents. Also labeling it with the date it was purchased allows you to easily abide by the “first in, first out” rule – which has you shooting your oldest ammo first, ensuring that your stockpile is always fresh. Now that we know how to safely store ammunition, make sure you know the safest ways to travel with and transport it. It’s safe to assume that if you’re transporting ammunition to a different state or county, you’ll have one or more firearms to go with it. Because of this, we want to make sure you understand the importance of local, state and federal laws surrounding this action. Both unloaded firearms and ammunition must be stored in the trunk or a locked container, but never in the glove compartment or console. If you are traveling through areas with restrictive laws surrounding the transportation of ammunition and/or firearms, be sure to have copies of all relevant licenses and permits. It also doesn’t hurt to have print-outs of any documents that feature relevant provisions of law – including FOPA. While most states allow for the legal transport of firearms and ammunition – as long as firearms are unloaded and they are cased, locked in the trunk or inaccessible to the driver and passengers – it’s always a good idea to consult local law enforcement or state Attorney Generals before travel. Firearm laws vary so much state to state, that one rule cannot apply across the board (especially when it comes to handguns and “assault weapons”). 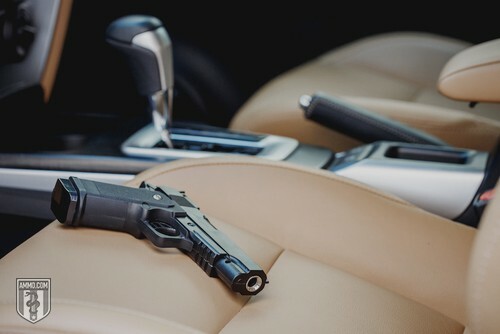 Remember, whenever a loaded firearm is on the person or accessible in a vehicle, the state and local carry laws immediately apply. When traveling with ammunition aboard a commercial aircraft, it’s important to remember what is prohibited from carry-on luggage. 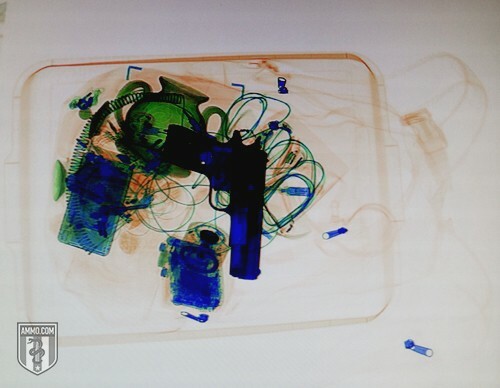 Firearms, ammunition and any firearm parts must be stored properly in checked baggage only. While some law enforcement officers are permitted to fly armed, civilians are required to follow a strict set of rules. Ammunition must be transported in checked baggage only. Ammunition must not exceed .75 caliber; shotgun shells of any size are permitted. Firearm magazines, ammunition clips and speed loaders can be loaded or empty, but must be securely covered where the ammunition is exposed using a metal, plastic or cardboard sleeve. 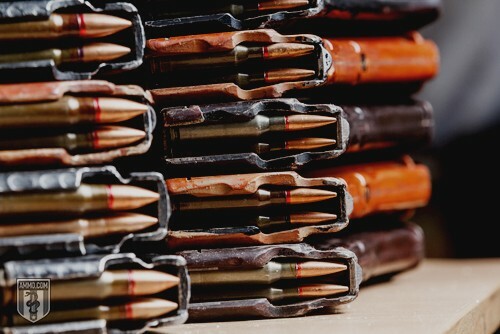 Ammunition must be securely packed (not loose) in a hard-sided case made of fiber, wood, metal, any packages designed to store ammo, or original packaging. While the DOT places no limitations on the number of packages or weight of ammunition transported, they do require that the ammo must be for personal use only. Many carriers limit the weight of ammunition to 11 pounds (the international standard), so it’s always smart to check with your airline before arriving at the airport. You can carry on non-hazardous ammo components including empty cartridges and inert bullets. However, hazardous components must be checked – including black powder, smokeless powder, percussion caps, primers, etc. Never under any circumstances are firearms allowed to be loaded with ammunition in your checked baggage. When traveling, always check the laws concerning possession of firearms – as they vary by local, state and international governments. And remember to check with your airline regarding any additional rules and restrictions they may have. If you’re among the prepared shooters who have built an arsenal of ammunition, you’re already ahead of the game. Be even more prepared by knowing the proper ways to store it, maintain it, and transport it – adding decades to its shelf life and peace of mind to your emergency readiness.